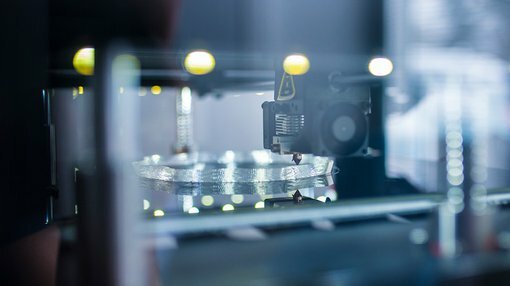 Emerging 3D printing company, Robo 3D Limited (ASX:RBO), announced yesterday that it will complete a capital raising of $800,000 to support additional production runs for its higher than anticipated pre-order pipeline of $2 million for the December quarter. The pipeline of orders, coming from RBO’s key channel partners, results largely from the general release of the Robo R2 smart 3D printer in June 2017, and is great news for management and investors. However, it requires access to extra funds to support the increased production runs – a timely cash injection of $800,000 should therefore see the company through this acceleration in growth. With a market capitalisation of just $8.6 million, a large pipeline of pre-orders and a successful capital raising puts RBO in good stead for the current quarter and beyond. The company has never had $2 million in its pre-order pipeline before, representing a sharp uptake in demand. As such, the December quarter is likely to be transformative for this small cap tech play, producing more opportunities for potentially market-moving news flow. As pre-orders are still subject to cancellation, RBO has allowed for some flexibility; as such, the $800,000 capital raising comes with an option to expand that amount by an additional $1 million, contingent on shareholder approval. In relation to the capital raising, Robo’s CEO Ryan Legudi said: “We are delighted with the fast-paced growth and demand for Robo’s product line up, as evident in the record pipeline of pre-orders and expected growth over the next quarter. RBO has engaged Hunter Capital Advisors as corporate advisors and lead managers for the capital raising. The capital raising terms comprise a share placement – $400,000 at an issue price of A$0.060 per share resulting in the issuance of 6,666,667 new RBO shares – and the issuance of Convertible Notes to the value of $400,000, issued at $1.00 per note with a face value of $1.10 per note.